WOW! Women On Writing Blog: Jennifer A. Payne Launches Her Poetry Book Blog Tour of "Evidence of Flossing: What We Leave Behind"
Jennifer A. Payne Launches Her Poetry Book Blog Tour of "Evidence of Flossing: What We Leave Behind"
Part social commentary, part lament, the 73 poems in Evidence of Flossing: What We Leave Behind are, at their heart, love poems to the something greater within all of us. Their investigation of the human condition and its folly — politics, religion, development, technology, consumerism — is juxtaposed to a series of poems about our natural world and the possibility of divine connection. Would God floss? Do spiders sing? Can you see the Universe in your reflection? Explore the answers to these questions and more in Evidence of Flossing: What We Leave Behind, a new book by Connecticut author/artist Jen Payne. A timely publication given the state of our world, Evidence of Flossing is more than a simple poetry chapbook. Its pages are illustrated by a random, absurd, and heartbreaking assortment of original and vintage photographs, including a series of discarded dental flossers that inspired the title of the book. A take on traditional street photography, these images examine human nature from a different and thought-provoking perspective. 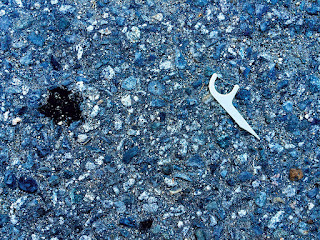 Several of the photographs were featured in a recent Arts Council of Greater New Haven art exhibit entitled “Where the Whole Universe Dwells.” They are part of a collection of more than 100 photographs of used dental flossers found by Payne between 2014 - 2017, and speak to the subtitle of the book: What will we leave behind? Evidence of Flossing: What We Leave Behind follows on the heels of Payne’s 2014 well-received book LOOK UP! Musings on the Nature of Mindfulness, and continues a dialogue about our innate connection with nature. Both books are published by Three Chairs Publishing, www.3chairspublishing.com. Evidence of Flossing: What We Leave Behind is available in print at Amazon, Barnes & Noble, Etsy, and IndieBound. To win a copy of Evidence of Flossing, please enter using the Rafflecopter form at the bottom of this post. The giveaway contest closes Sunday, December 3rd at 11:59 PM EST. We will announce the winner the next day in the Rafflecopter widget. Good luck! Installations of her poetry were featured in Inauguration Nation an exhibition at Kehler Liddell Gallery in New Haven (2017), and Shuffle & Shake at the Arts Council of Greater New Haven (2016). Her writing has been published by The Aurorean, Six Sentences, the Story Circle Network, WOW! Women on Writing, and The Perch, a publication by the Yale Program for Recovery and Community Health. 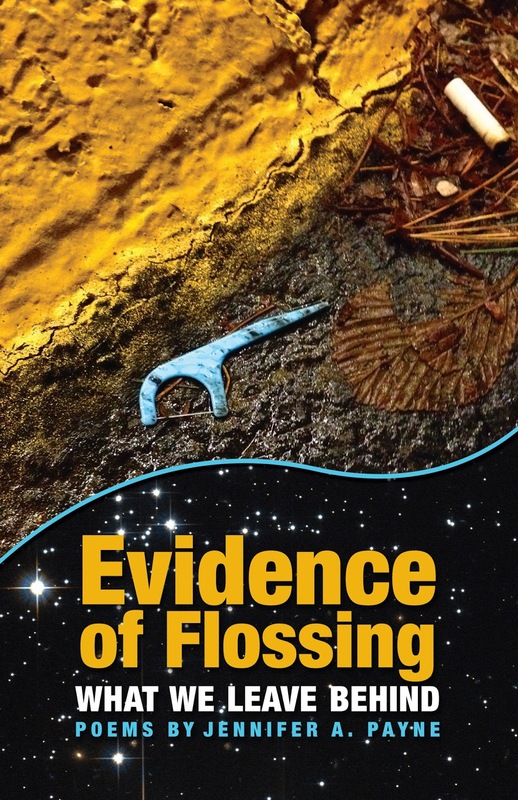 WOW: First of all, congratulations on your book Evidence of Flossing! What was the first book you fell in love with? And why? Jen: There are two books I remember loving as a kid. One was The Boxcar Children by Gertrude Chandler Warner. It's about four orphaned children who end up living in an abandoned boxcar in the woods. It seemed so idyllic…living in the forest, eating wild blueberries for supper, making cool things from found objects. The other book was The Lion, The Witch, and The Wardrobe by C. S. Lewis—oddly enough also about four young children who have magical adventures in the woods! WOW: Sounds like we would have made excellent friends as a kid! We had similar tastes in books! So, when did you know you wanted to be an author? What was the first thing you wrote that made you feel inspired to pursue writing? Jen: I've been a writer for as long as I can remember. My dad traveled a lot for business, and we used to write letters to each other when he was away—I think that's where it started. And I've always written that way... not made-up stories, but real life experiences. I wrote for my high school newspaper. Studied journalism at UMass. My first job was writing press releases and advertising copy. So, my writing is very much based on that nonfiction foundation, though more creative nonfiction, or nonfiction prose. WHEN did I know I wanted to be an author? I used to talk about writing "the great American novel” but I could never figure out how my writing fit that genre. Then, about six years ago, a friend of mine suggested my blog writings would make a great book. That's how LOOK UP! Musings on the Nature of Mindfulness came about—that's the book I published in 2014. It's a collection of my blog posts. WOW: I really love that you turned your blog writing into a book! Your blog turned out to be quite the muse for you! What are your books about? Jen: Both books, really, are about reconnecting with nature, about appreciating the gifts of our planet. LOOK UP! tells the story of my own journey. It's organized like a journal, and includes a collection of my essays and photographs, plus a bunch of quotes by famous naturalists, philosophers, and writers who have considered the same topics of mindfulness and our connection with the natural world. Evidence of Flossing is what happened next. After the journey. It's an examination of the contradictions and tragedies of our everyday world compared to the organic rhythms and beauty of the natural world. But this book is all poetry—73 original poems—plus a quirky series of photographs of discarded dental flossers and other original photos. WOW: I love how you merge both creative outlets in your book – photography and poetry. Let's talk time management - you own a graphic design company, write books, find time for poetry reading events, book launches, etc...how do you do it all and how do you do it with a smile on your face? What advice can you give to others who struggle with time management and juggling it all? Jen: Good question! I have a smile on my face - most of the time - because I truly love what I do. I love my day job and I love my writing life. They feed me. I think it's easier to make time for things that feed you. My secrets? I get up super early - like I don't want to tell you how early. And for me, those quiet, early morning hours are the best time to get good work done. Have you heard of this? It's a technique from motivational speaker Brian Tracy, who says that if you tackle the most difficult things on your To Do list first, it creates momentum for other things to get done more easily. A friend shared the video with me a few years ago (https://youtu.be/0W7GB5Fh2XM) and it's really changed how I approach my day. Especially when I am up-to-my-eyeballs busy! My advice to others? Oh dear, well...find your super powers (like getting up early), go for a walk, invest in 3x5 cards, drink coffee, and eat frogs when necessary. WOW: I will most definitely have to look up the eating frogs idea later. You're all about conversations (me too) - so imagine the current you is having coffee and conversations with the teenage you...what advice would you give yourself? Jen: That would be a LONG conversation, probably involving a little finger wagging—don't start smoking; more books/more writing/less boys; travel not chachkies. The usual hindsight things. So, that: Don't worry. Be happy. This too shall pass. WOW: I’d definitely be telling myself something similar if I could sit my teenage-self down over coffee! So, what's next for you? You certainly aren't the "sit around and wait for life to happen" person - so where can we expect to see you next? Jen: You're right there! Actually, I've been thinking about publishing a short story I wrote called Water Under the Bridge. It's an epistolary novel told through a series of emails. But more immediately, I want to do an art exhibit of the (dental) flosser photos from Evidence of Flossing—maybe in the spring. I just think they deserve their own time and place outside of the book. They have a story to tell. WOW: We do! I truly believe that. Thank you so much for taking the time to chat with us today and we can’t wait to see the feedback come in from the book tour about your book Evidence of Flossing! Tara Meissner reviews Evidence of Flossing: What We Leave Behind by fellow author Jennifer A. Payne. Don't miss Meissner's insight into this lovely book of poetry and more. Today's guest blogger at Lauren Scharhag is Jennifer A. Payne with a post titled: "The Importance of Retreat" learn more about Payne's thoughts on down time and going off the grid as well as her latest poetry book, The Evidence of Flossing: What We Leave Behind. Jennifer A. Payne pens today's guest post at Words, Crazy Words - the blog of fellow author Tara Meissner. You won't want to miss Payne's insight when it comes to "Blogging as a Creative Tool"! Nicole Pyles will be posting a review of Jennifer Payne's book, Evidence of Flossing over at her blog. Mari McCarthy at Create Write Now welcomes fellow author Jennifer A. Payne as today's guest blogger with an insightful post titled: "Everything is Connected". Learn about this as well as Payne's latest poetry book, Evidence of Flossing: What We Leave Behind. Beverley Baird reviews the lovely new poetry book, Evidence of Flossing: What We Leave Behind by Jennifer A. Payne. 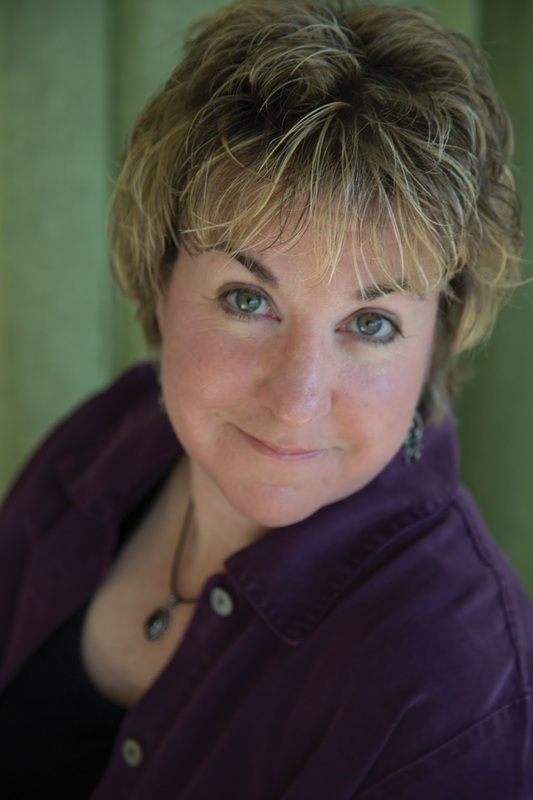 "The Bravery of Storytelling" is the title of today's guest post at Writers Pay it Forward - you won't want to miss this intriguing topic and opportunity to hear from Jennifer A. Payne about storytelling as well as her latest poetry book, Evidence of Flossing: What We Leave Behind. Anjanette Potter reviews Evidence of Flossing: What We Leave Behind by Jennifer A. Payne and also takes a few moments to interview Payne about her latest poetry book and more! Today's author at CMash Loves to Read is the one and only Jennifer A. Payne and her latest book The Evidence of Flossing: What We Leave Behind. Don't miss today's opportunity to hear from Jennifer with her guest post titled: "Finding Inspiration". Linda Appleman Shapiro reviews Jennifer Payne's latest poetry book, Evidence of Flossing: What We Leave Behind. Don't miss this insightful blog stop. 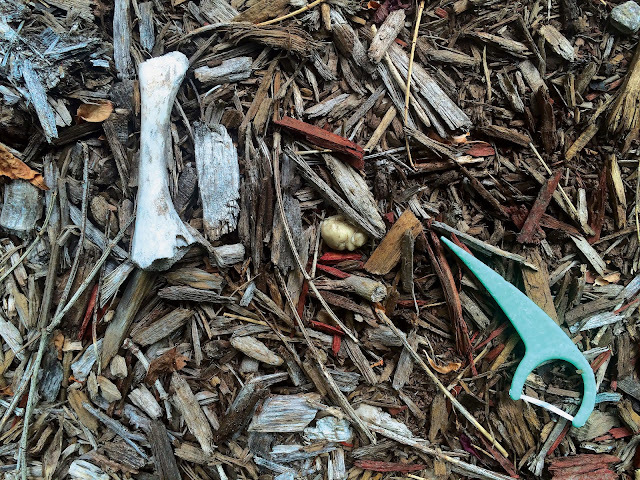 Fellow author David W. Berner reviews the latest work of Jennifer A. Payne - learn more about Payne's beautiful poetry book, Evidence of Flossing: What We Leave Behind. "Exploring Mindfulness" is the title of today's guest post at Madeline Sharples Blog, Choices. Today's guest author is none other than Jennifer A. Payne. Find out more about her topic, her writing, and her latest poetry book, The Evidence of Flossing: What We Leave Behind! Writer Christopher Liccardi reviews Evidence of Flossing: What We Leave Behind as part of author Jennifer A. Payne's WOW! Women on Writing book blog tour for her latest poetry book. Crystal Casavant-Otto reviews Evidence of Flossing: What We Leave Behind as part of author Jennifer A. Payne's WOW! Women on Writing book blog tour for her latest poetry book. Jennifer Payne is interviewed by Lisa Haselton; find out more about Jennifer's latest poetry book Evidence of Flossing: What We Leave Behind. Fellow author Elaine Drennon Little reviews Evidence of Flossing: What We Leave Behind by Jennifer A. Payne. Luanne Castle reviews Evidence of Flossing: What We Leave Behind by Jennifer Payne. Don't miss Luanne's insight into this beautiful poetry book. Mary O'Connor reviews Jennifer Payne's latest poetry book Evidence of Flossing: What We Leave Behind. Don't miss this opportunity to learn more about this lovely book! Stop by Depth of A Woman to read Joss Burnell's review of Jennifer A. Payne's Poetry Book Evidence of Flossing: What We Leave Behind. Jennifer Payne and her lovely poetry book Evidence of Flossing: What We Leave Behind is the topic today at Spirituality Without Borders. Read Rita's review of this lovely book and find out more about the lovely author behind it! Stop by Writing on the Rim and hear from Juliana Lightle about her thoughts after reading Evidence of Flossing: What We Leave Behind by Jennifer A. Payne. Don't miss this insightful review! Enter to win a copy of Evidence of Flossing: What We Leave Behind by Jennifer A. Payne! Just fill out the Rafflecopter form below. We will announce the winner in the Rafflecopter widget next Monday, December 4th. This is such a great book; in fact....don’t you think it’s perfect for holiday gift giving? I agree with Crystal about your book being a great gift for the holidays. Your photography is gorgeous. Do you have a sample of one of the poems in the book? I didn't see a "look inside" feature on Amazon. Good luck on your tour! It looks like it's going to be amazing! PS. You've convinced me...I need a Wonder Woman mug. The new WW totally rocks. Hi Angela! Thanks for checking out the Blog Tour Launch! And yes, making regular time for mindfulness is difficult. Especially this time of year! I think that's one of the reasons being out in nature works so well as a practice. You can just step outside, walk around your garden, down the block, up the road a little. And breathe. BREATHE. Even just a few minutes helps you step out of the fray for a bit. I do think the book would be great as a holiday gift - the photos in this book are fun and quirky, and so are a lot of the poems. Here is a link to one of my favorites called "Microcosm," https://wp.me/pKhyg-3eg. Funny - I just finished Mary Oliver's book UPSTREAM, a collection of her essays. She writes a lot about nature, yes, but also about writing and the creative life. I dogeared this quote: "In creative work - creative work of all kinds - those who are the world's working artists are not trying to help the world go around, but forward." I liked that! Very interesting title. And the subject matter looks very enticing to read. Awesome! It's a quirky title, for sure, Angela. I hope it conveys the tone of the book - serious topic, but with a positive take on how we start to make change in ourselves and our world.